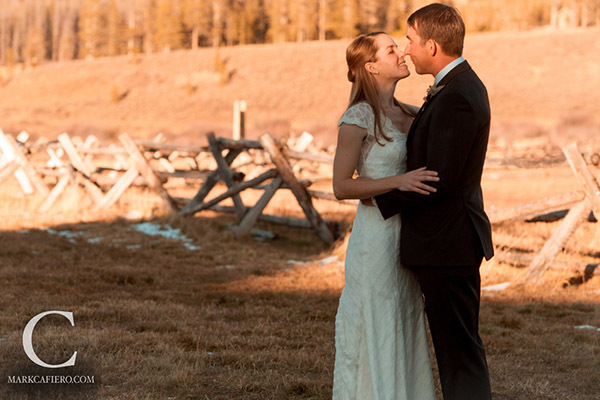 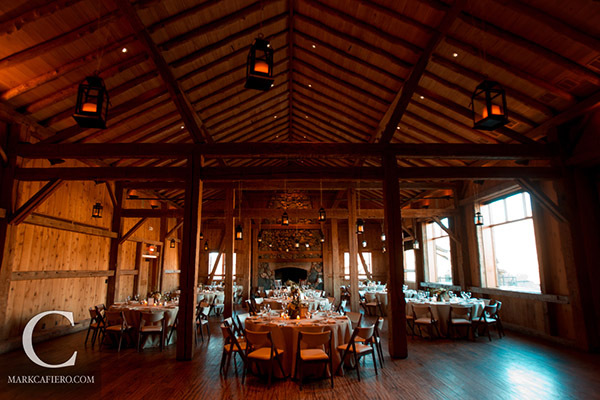 Devil's Thumb Ranch is a destination spot for brides all over the country who want a no fuss mountain wedding. 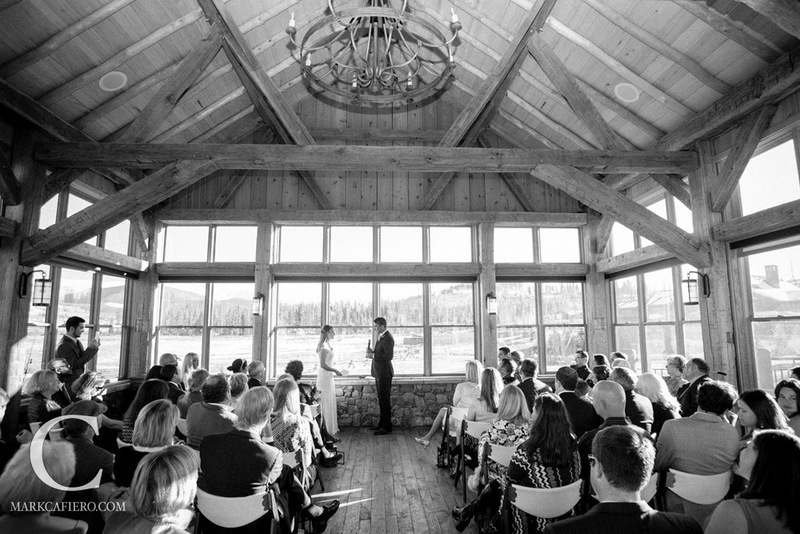 With its gorgeous views, great service, and beautiful rustic lodges it's no wonder it's one of the best venues to get married at in Colorado. 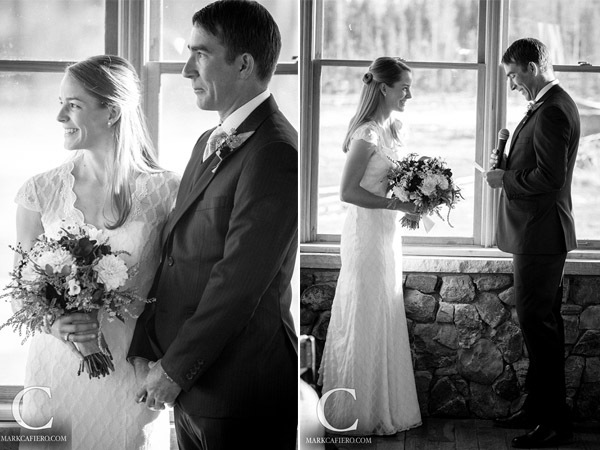 Photographed by Mark Cafiero, Jen and Ron's wedding at Devil's Thumb Ranch was as gorgeous as it gets. 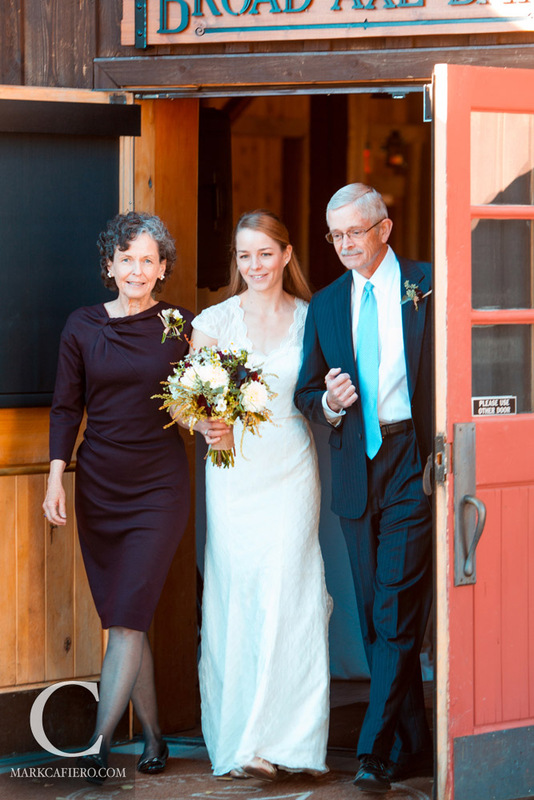 And, with it's scalloped cap sleeves and delicately embroidered chiffon, Jen's Ivy & Aster gown from anna bé was the perfect pick for an elegant and laid back mountain wedding.